Department of Narcotics Control Exam Routine published by ejobscircular.com . 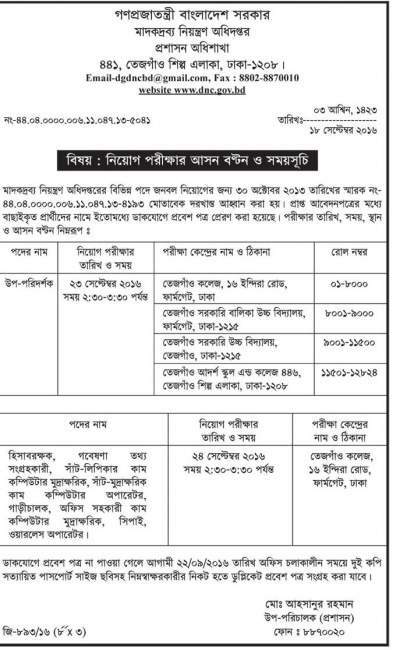 You can find your Narcotics Control Job Schedule at www.dnc.gov.bd and our Official website 🙂 Check your bd Narcotics Control Job Notice below..
Hope You see your Job Circular examination center and Exam Date Clearly . For more information about Department of Narcotics Control Job keep visit our website. Thank you. This entry was posted in Notice and tagged jobs Results by ejobscircular. Bookmark the permalink.